Just a couple of weeks back, I made some nice bento sets in conjunction with Valentine's day. 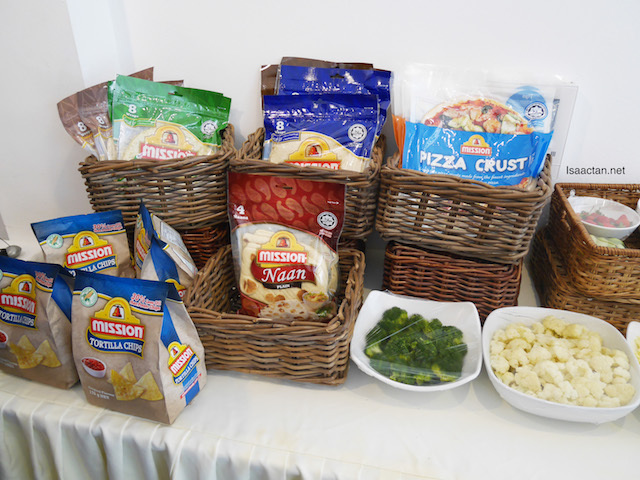 This time around, I was at Mission Foods Back To School Bento Workshop where Mission Foods brought together consultant dietitian Indra Balaratnam as well as celebrity moms, Aishah Sinclair and Sazzy Falak to share inspiring and inventive ideas for quick and healthy Bentos. 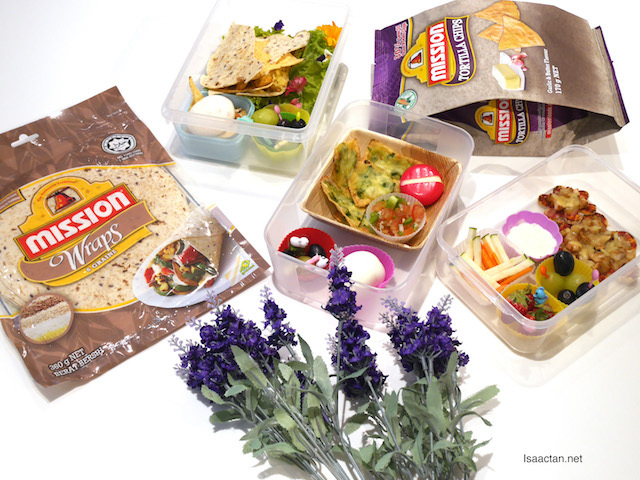 An eye opener, where the Bentos were made using versatile Mission products such as wraps, pita, naan and chips. I do think these Bento boxes are a fun variation from your usual packed lunches. 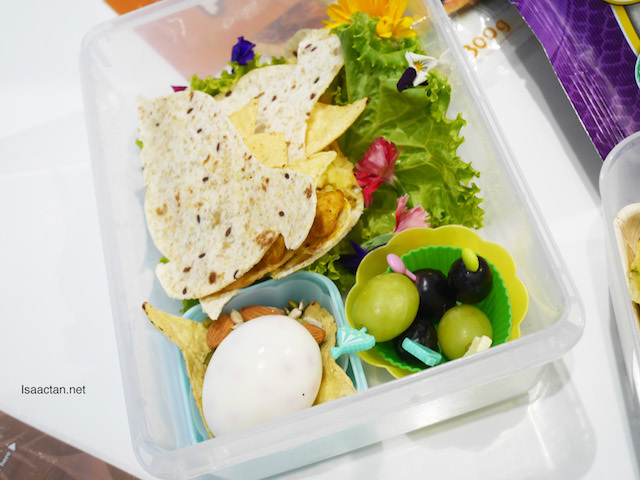 Mothers who are running out of ideas on ways to create a nutritious and yet fun packed lunch for their little ones can take note of these, making it exciting and fun at the same time. An example of fun variation; boiled eggs are a great form of protein for children and a clever way to get them to enjoy it is to shape it like a bunny. During the workshop, we were introduced to dietitian Indra Balaratnam, also a mother to an 11-year old daughter, Skyler, said that one of the best investments a parent can make is to create a positive relationship with food so that their children grow up to become healthy and confident. 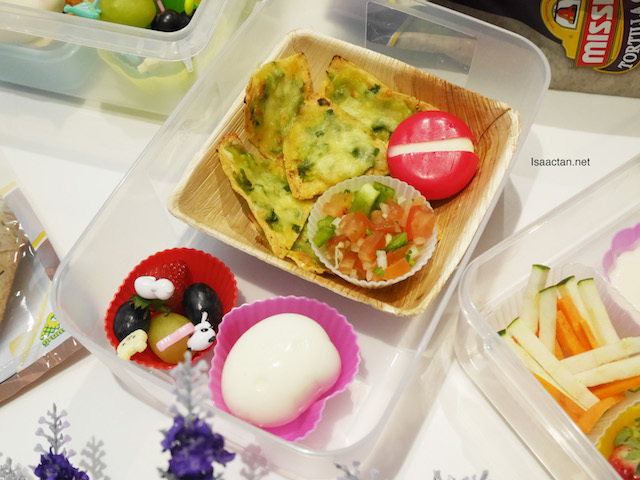 She said with a little bit of imagination, any mom can create a cute and appetising bento incorporating healthy, seasonal items leaving out sugary snacks, and junk food. “When preparing my daughter Skyler’s bento, I try to include all five food groups such as grain, protein, dairy, nuts, vegetables and fruits. It is always in the form of a wrap or a pita pocket because I am able to pack as many ingredients as I can. Most importantly, I ensure that her meals are balanced,” shared Indra. Mission Foods, a strong advocate of a healthy lifestyle acknowledged that healthy eating is a mindset that needs to start from a young age. Constantino Flores, Vice President of Operations, Mission Foods Asia explained that mothers as the main nutrition gatekeeper of the family are sometimes too stretched for ideas and need the inspiration and support to ensure the best diet for her loved ones. 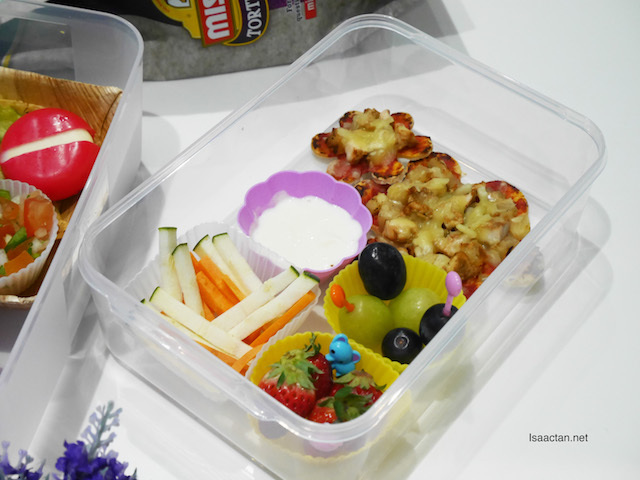 Radio announcer, TV host and fitness enthusiast Aishah Sinclair Made Her Bentos Too! The beautiful radio announcer, TV host and fitness enthusiast Aishah Sinclair created a delicious Tandoori Chicken Pizza with Mission Wholemeal Pizza Crust in the form of flowers for her two daughters. “I’ve made a good number of Bentos for my two daughters and this recipe is a sure win with them. What I always do is to cut out cute shapes using cookie cutters and they get really excited about that. I am also a huge believer in eating right and being active so I want to inspire my girls to do the same,” quipped Aishah, a dedicated mom to Soraya Ann, aged 7 and Aina Elisabeth, aged 3. 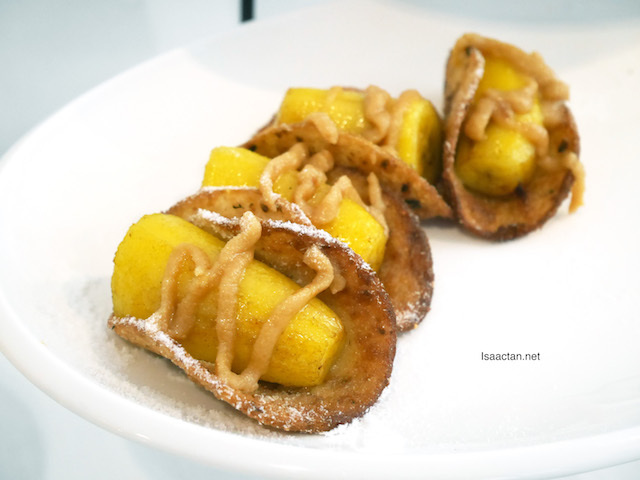 These were served at the workshop, Deep Fried Peanut Butter Banana Roll. I could not get enough of it! 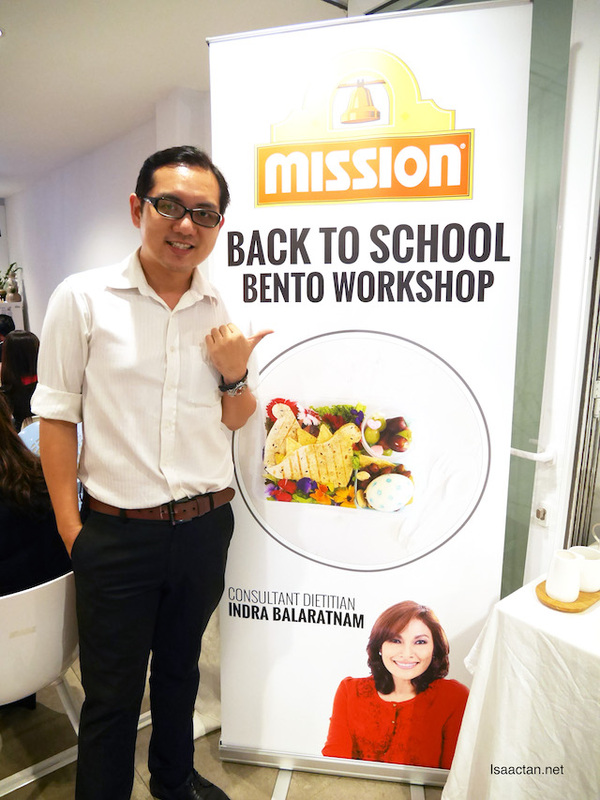 20 lucky Malaysians were selected through contests on Mission Foods Malaysia’s Facebook as well as on Aishah Sinclair and Sazzy Falak’s Instagram to participate in the Mission Back to School Bento Workshop at The Cooking House Bangsar. Overall it was a fun filled, exciting and informative workshop. Now I know how to prepare a box of delicious bentos for the kids. Oh and it's healthy too! Haven't bought any for a while now. My girl is on a gluten-free diet - sure would grab them if they come out with some gluten-free varieties.